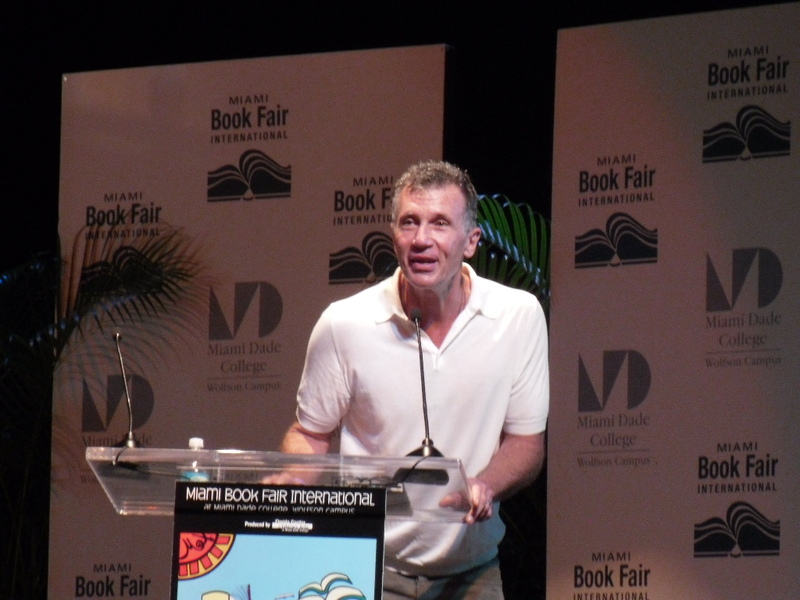 I was really happy to get to see Michael Cunningham at the Miami International Book Fair. I absolutely love The Hours. 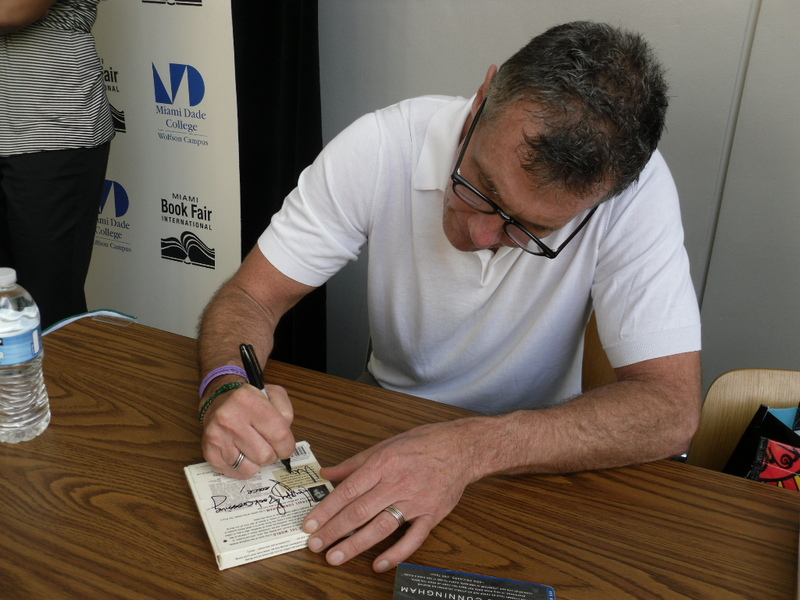 I also went to Simon Winchester’s session, another one that I enjoyed tremendously, though his tale of fattening sheep on the cliff then rolling them off the hills sound somewhat dubious. 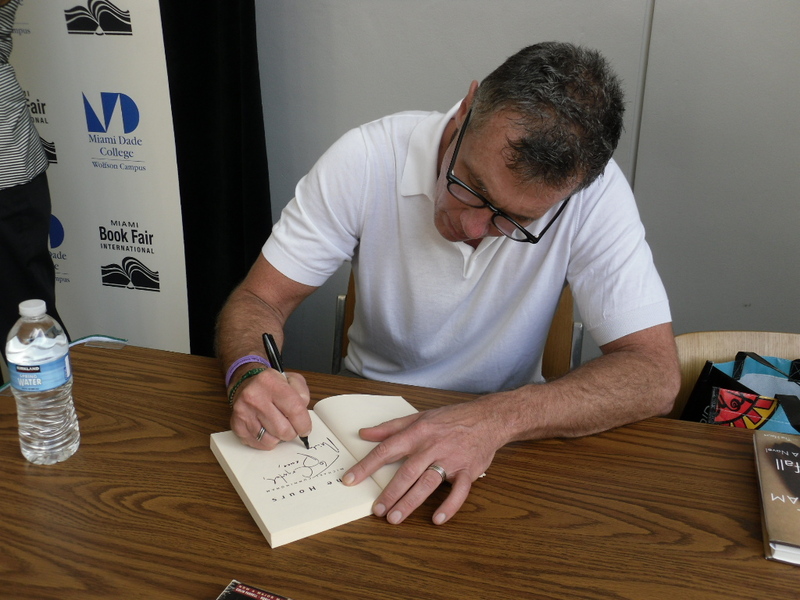 It doesn’t always happen, but at both events I can feel the exchange of idea, the works of brilliant minds, and make me like the authors even more. 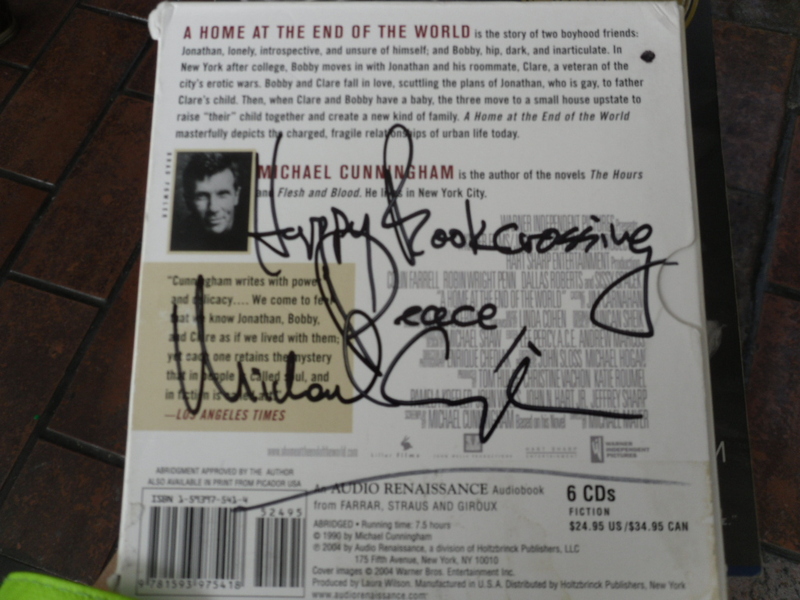 I forgot to bring my Winchester books along, but managed to get Cunningham to sign on his. A permanent copy of The Hours. I also brought along an audio CD of A Home at the End of the World.